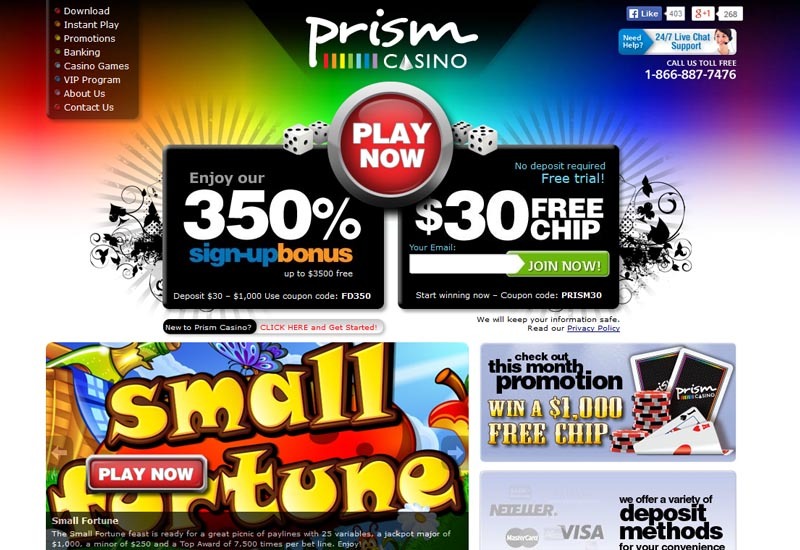 The colorful and visual side of the Prism Casino, shows off a whole spectrum of services. 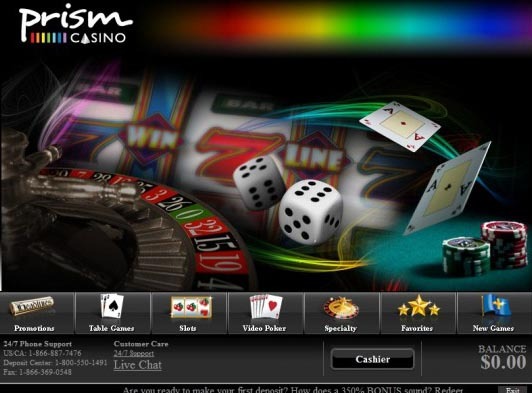 With the best of gaming products coming directly from Real Time Gaming, the casino provides many enticing offers. The fairness in gaming is regulated by the Technical Systems Testing and encrypted to ensure full protection of the most sensitive data. The trademark is certified with the RGN, which gives the assurance of fairness in all games. There is a free no deposit chip for the starters and later on a deposit bonus to make the very first one. 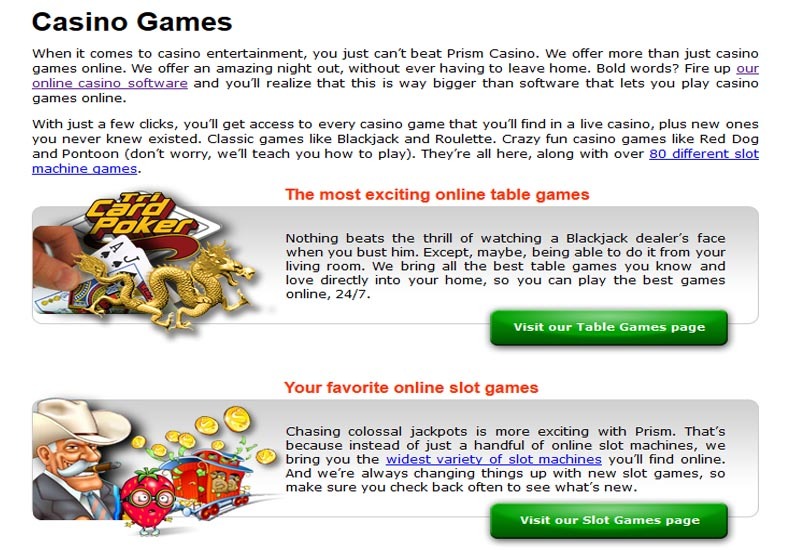 Over 80 games and counting are available at the Prism Casino, coming straight from the RTG platform. The Real Series Slots have Random Jackpots and grant huge winnings. Minor Jackpots are also available. There are also Video Slots, 3 Reel Slots and 3 Reel Bonus Slots. Some of the most popular titles are: Triple Twister, Aztec Treasure, Enchanted Garden, Loose Caboose, Mister Money, Cleopatra’s Gold and Mystic Dragon. The Progressive Jackpot is within Aztec Millions, Caribbean Stud, Caribbean Hold’em, Crazy Dragon, I.R.I.S. 3000, Jackpot Pinatas, Let’em Ride, Mid Life Crisis, Shopping Spree and The Shark. The Specialty Games include Keno, Craps, Hot Dice, Bonus Bingo and Lucky 8’s.